Apartment living is a great option for many reasons. The lack of maintenance involved in homeownership is one of the biggest benefits of renting an apartment. Winter residents who don’t want to commit to full-time homeownership also enjoy the convenience of short term leases offered by many apartment complexes in the Doral area. This is also a good option for visitors who plan on spending a few months during the summer enjoying the Florida sun. Many apartment complexes offer residents the option of rentals in Doral from four months or less. Four of the most popular apartment complexes in Doral include Camden Doral, Doral West, Doral Terrace, and Valencia at Doral. Camden Doral is located at NW 107th Avenue just minutes away from the Turnpike and Highways 826 and 836. Camden Doral offers one, two, and three bedroom apartments with rents ranging from $1,322 to $2,004. All apartments feature stone tile in the bath, foyer, and kitchen as well as a full size washer and dryer. The master bath includes a Roman-style bathtub. All units include outside storage, ceiling fans, and intrusion alarms. Residents of Camden Doral can enjoy the many amenities including swimming pools, hiking and jogging trails, a fitness center, business center, picnic area, and racquetball court. Camden Doral also offers corporate housing for businesses. Doral West is located at NW 114th Avenue, also near the Turnpike and major highways in the area. Doral West offers seven floor plans for their one, two, and three bedroom apartments and townhouses. Rents range from $1,500 to $2,010. All apartments feature an eat-in kitchen, dishwasher, garbage disposal, vaulted ceilings, full size washer and dryer, and walk-in closets. Doral West is located in an A-rated school district and has a tot-lot playground for the kids. Residents can enjoy the Florida weather from their own porches and balconies offered on many of the floor plans. Amenities available to residents include a full private clubhouse with a business center, fitness center, racquetball court, resort-style swimming pool, and Jacuzzi. 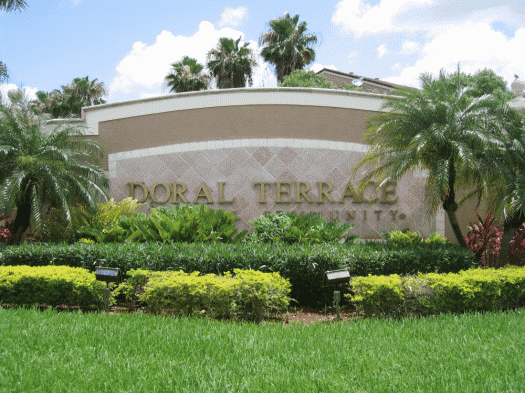 Doral Terrace is located at NW 50th street just West of the Turnpike. This makes Doral Terrace an easy commute to and from Miami. The one, two, and three bedroom garden style apartments range from 658 to 1,230 square feet. Rents range from $1,160 to $1,560 with the first month’s deposit. 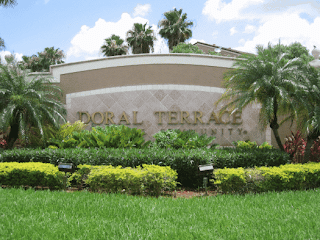 Doral Terrace has Affordable Housing which means residents must meet income regulations to qualify for this program. 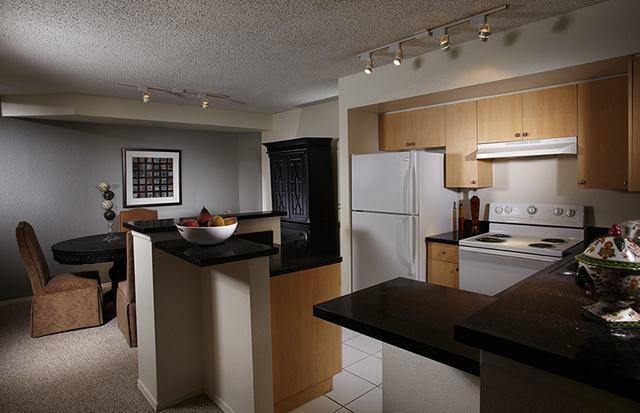 All units include air conditioning, full size washer and dryers, dishwasher, and microwave. Residents have full use of the clubhouse, pools, fitness center, billiard room, BBQ area, business center, tot-lot playground, and sand volleyball court. Valencia at Doral is located at NW 45th Street and is just minutes away from the Turnpike. Renters have their choice of one, two, and three bedroom apartments and townhouses with rents ranging from $1,355 to $1,760. All apartments feature a dishwasher, are cable ready, include a full size washer and dryer, and have their own private balcony. Amenities at Valencia at Doral include a clubhouse, business center, 24 hour emergency maintenance, hot tub, fitness center, pet friendly areas, a playground, and tennis court. 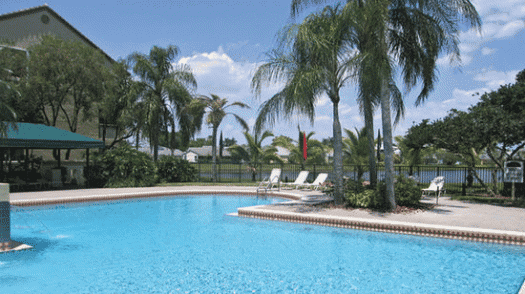 Apartment living in Doral is one of the best in Florida. Situated near the Miami/Dade metro area, Doral offers residents and visitors the convenience of being near all the excitement of the big city while enjoying the laid back lifestyle of Doral. Whether a full-time resident or a seasonal visitor, apartments in Doral offer something for every budget and taste.